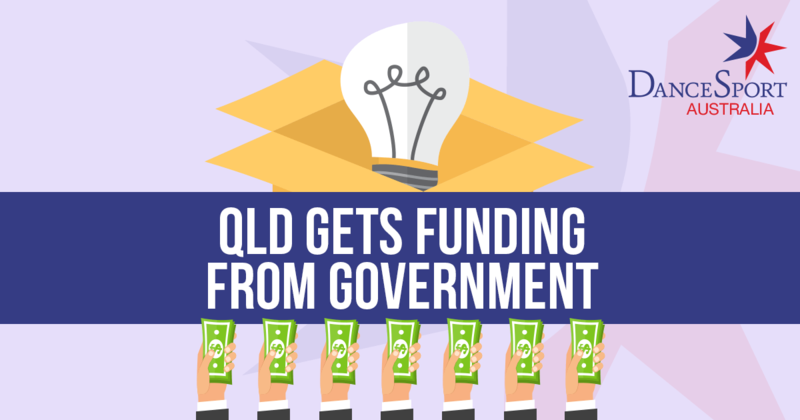 Government funding awarded to DSQ! DanceSport Queensland is thrilled to announce they have received funding for 2018 from the Department of National Parks, Sport and Racing. DSQ will look at avenues to assist the development of Coaches, Teachers and Adjudicators. Individuals wishing to undertake exams in these areas are also eligible for assistance. This area is for new development events or new events, and those holding events can request assistance from DSQ. Criteria will be posted on the DSA website under DanceSport Queensland. There is also the opportunity for those running school programs, whether at a school or within their studio in SE QLD, to also request assistance from DSQ. The criteria for this will also be posted.